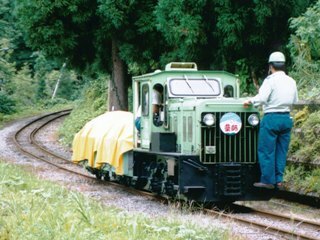 Gallery of small narrow gauge raiwlays in Japan. 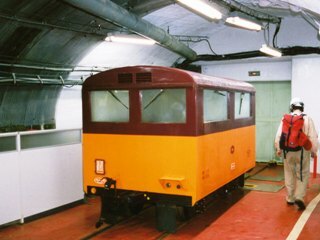 Though most of Japanese railways including JR lines using narrow gauge of 3ft 6inch, below mentioned railways use gauges less than 3'6". Limestone was carried by shuttle train to the pier, but it was replaced by belt conveyors. Photo in Jul, 1997. The locomotive is powered by Hydrauric Motor. Operation ceased in 1996. Photo in Jul, 1997. 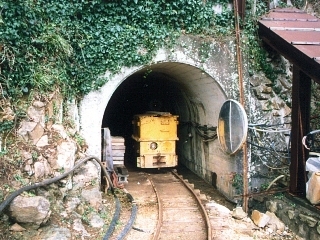 The mine was open to visitors with admission fee, but operation ceased in early 2000's. Photo in Jan, 1995. Participated in a study tour to ride the train with 2 ft (610 mm) narrow gauge. Filmed on 1 Sep, 1999. (lower left) A freight train ran in reverse direction. (lower right) 17 tiers of Zig Zag. 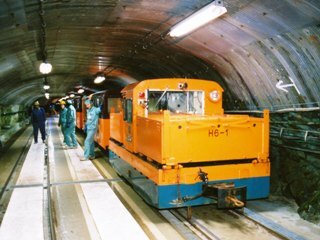 This railway is constructed for building and maintainance of underground hydraulic power station at Kurobe River. The construction was difficult due to high temperature. 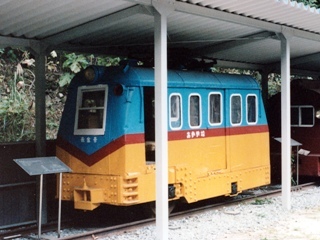 It is cooled off now, but special heat-resistant coach is used. This railway is not open for public, but organized tour is offered periodically. Photo in Jun, 2001. This rail was for transporting lumber, disappeared due to extension of road. (upper right) Lumber and locomotive. (lower right) A locomotive on the bridge. (lower left) A gasolie locomotive was sitting over the bridge. 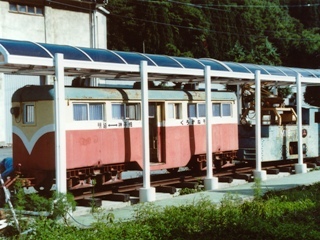 Photo in Jun, 1993. 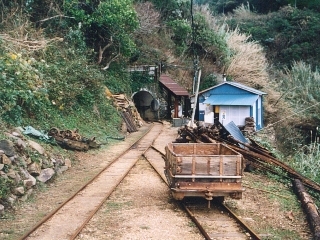 Akenobe was a metal mine. Visitors were admitted to ride the railway, however it was abolished in 1985. (upper right) The "Akagane". The size of front and rear wheels are different! (lower right) The "Kurogane". A coach hauled by a locomotive. 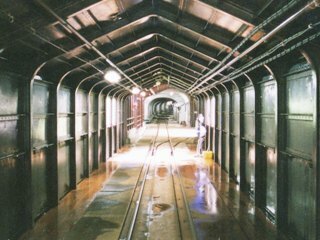 (lower left) The interior of the "Kurogane" Photo in Oct, 1994. 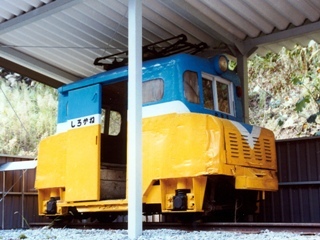 There are some railways to carry clay stone in Amakusa area. Photo in Dec, 1997. 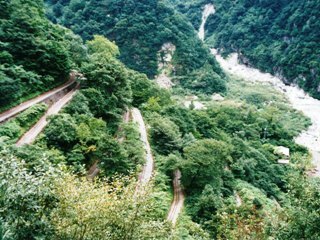 The track of Yakushima Forestry railway is used for the trail of Mountaineering at upstream section. Filmed in July, 2001.